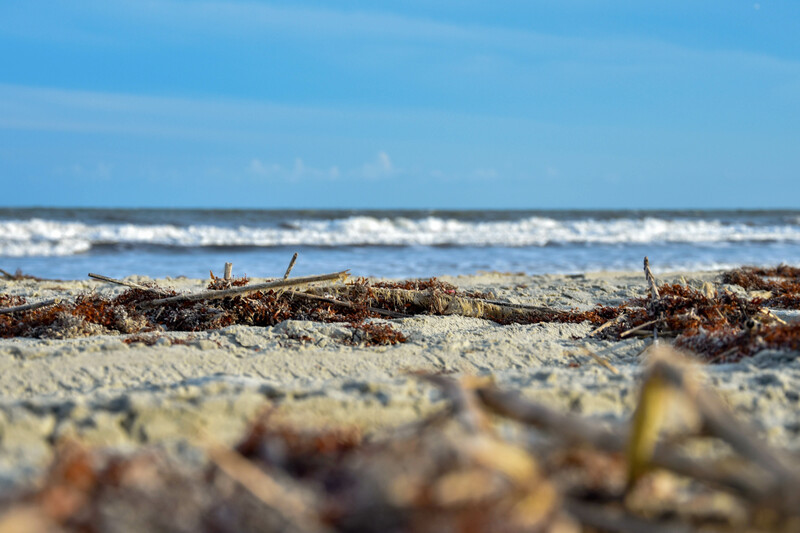 This Kiawah Island vacation rental, located at 2364 Shipwatch Villa, is on the 3rd floor of a beachfront building and offers partial ocean views and easy beach access. Inspired by the Lowcountry, the updated villa offers coastal colors and comfortable furnishings. The living area features a sofa, side chairs, bistro table for 2, flat-screen TV, and balcony access. The fully equipped kitchen showcases custom white cabinetry, blue subway tile backsplash, and bar seating for three. The master suite offers a king bed, flat screen TV, deck access, and an updated, private bathroom with a walk-in shower. A second bedroom with two queen beds and a flat-screen TV has a private bathroom with a tub/shower combo.